As you know, I have been very bullish EUR/GBP this week. On Monday, I showed you this chart of EUR/GBP and told you that is headed for 90 cents from 87 cents and today it has pretty much reached that level. The high in EUR/GBP was 0.89978, 2.2 pips from my 0.90 target. As you can see in the chart below, the retracement off of the 90 cent high was pretty brutal. Although I think that EUR/GBP could hit parity, we may be due for an even larger correctionthat could take the currency pair back to 0.8750. Hawkish comments from ECB member Weber is driving the EUR/USD through the roof. The currency pair is up close to 2.5 percent or more than 300 pips. After cutting interest rates by 75bp earlier this month, ECB member Weber said today that a January rate cut is not a done deal. 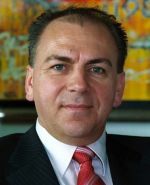 He pointed out that the ECB has never taken interest rates below 2 percent and that the central bank doesn’t have enough info to decide on a January rate cut. Market tensions are expected to ease next year and he really wants to avoid negative real interest rates. More importantly, he added that when the economy recovers, the ECB will need to raise rates promptly. In terms of monetary easing, the ECB has been one of the least aggressive central banks this year. They have only cut interest rates by 150bp, compared to the 325bp by the BoE. This is why EUR/GBP is moving closer to my 0.90 target. With the Fed cutting interest rates next week, the hawkish comments from the ECB will fuel further gains in the EUR/USD going into the US rate decision – there is nothing standing in the way of EUR/USD hitting 1.35. However the big explosion in volatility has actually happened in the past 9 weeks. EUR/GBP, USD/CAD and the AUD/USD have seen the largest increases to their average daily range, but the range for the EUR/USD and GBP/USD has also increased materially. 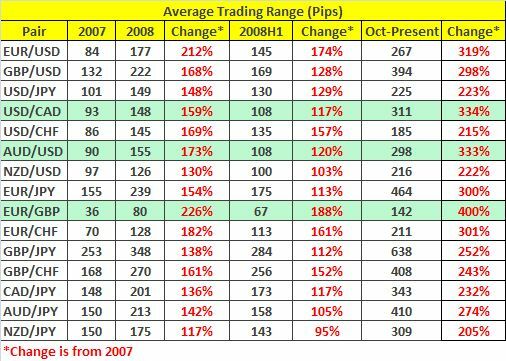 More specifically, in 2007, the EUR/USD had an average daily range of 84 pips. Since October, its average daily range has been 267 pips, a more than 300 point rise. Understanding trading ranges is very important because it plays a big role in developing effective money management strategies. I explore this concept in more detail in the second edition of Day Trading & Swing Trading the Currency Market. 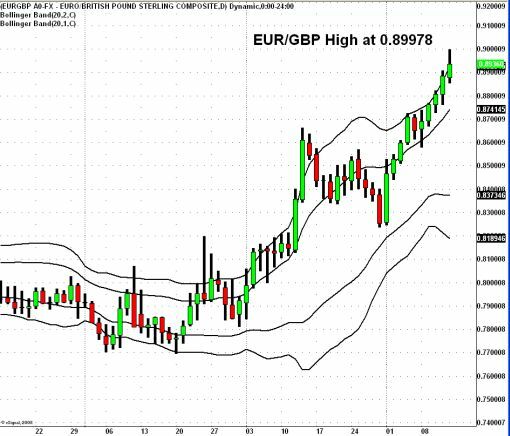 EUR/GBP which use to known as one the range trading currency pairs saw its average daily trading range increase from 36 pips in 2007 to 142 pips since October, a whopping 400 percent rise. Say goodbye to the days of the hiding in low volatility of EUR/GBP because it is currency pair that has seen the largest expansion in volatility.